Federalist No. 69 is an essay by Alexander Hamilton, the sixty-ninth of The Federalist Papers. It was published on March 14, 1788 under the pseudonym Publius, under which all The Federalist papers were published. The title is "The Real Character of the Executive", and is the third in a series of 11 essays discussing the powers and limitations of the Executive branch in retaliation to the Anti-Federalist Papers, and in comparison to the King of England's powers. In Federalist Paper 69, Alexander Hamilton sought to explain the Executive Power in order to quell fears that the President would function as an elected monarch, the primary concern of anti-federalists. The memory of British oppression was fresh in the mind of anti-federalists, and they were not ready to accept a new form of government that would resemble the English form of government. Specifically, Hamilton "explained that the president's authority 'would be nominally the same with that of the King of Great Britain, but in substance much inferior to it. It would amount to nothing more than the supreme command and direction of the military and naval forces, as first general and admiral of the confederacy'"
Hamilton also highlights the different standpoints/operative techniques of both, the President and the King of England in maintaining their armies. The President has the ability to conduct war as he sees fit, if authorized by an Act of Congress (consistent with specified powers of the Legislative Branch under Article I, Section 8 of the Constitution), and he also is identified as the primary "Commander-in-Chief" of both, the army and the navy (Article II, Section 2). Hamilton discusses how the president has the liberty to make calls, according to what they see fit. This is also a collective decision amongst the advising committee, appointed by the president. It is a group decision but the final call is made by the president. However, the King of England does not operate the same. The King of England makes the final call in everything, without regards to the legislature/Parliament. There are no questions asked, it operates similarly to a dictatorship. Both are contrasted and have various limitations in their conduction of their respective militia. While the president may have command of the militia on occasion, the King of England has full control of the militia at all times. The President is able to pardon crimes for offenses caused against the United States under the Constitution. This includes all offenses. Hamilton compares the president's power to that of the governor of New York's where they may pardon all offenses except those of treason and murder but includes impeachment. Hamilton's argument states that the governor has impunity from impeachment while the president is liable to be impeached and then if convicted, to be removed from office and later to be prosecuted under the course of law. Federalist Paper 69 also discusses the President's, as well as the King of England's foreign policies and their variations in conduct. With regard to treaties with foreign nations, Hamilton highlights the fact that two-thirds of the Senate is required to vote to enter into a treaty with a foreign nation. As a result, the President is unable to fully conduct foreign policy on his own – there is democratic participation in issues of foreign policy. Meanwhile, the King of England has no restrictions on his ability to enter into various deals with foreign nations, restricting the public's ability to comment on or participate in the way their country is dealing with other countries. Importantly, Hamilton addresses the anti-federalist concern of foreign relations by explaining the limitation on Presidential power as opposed to the King of England's unrestricted ability to enter into treaties. 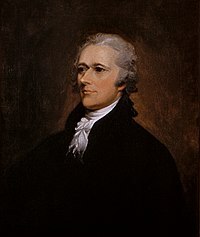 Hamilton explains that the Presidential power to veto is limited, as opposed to the King of England's power to overturn an act of the legislature absolutely. The authority given to the President to be able to veto is beyond significant in the construction and evolution of the country. However, the limitations that President has with this authority is also crucial in how the country is run. While the President does have the ability to veto something he may not agree with, the legislature is permitted to neglect the decision of the president (if it's seen unfit), and proceed with a 2/3 vote on the bill. He discusses how there does leave "wiggle room" for a righteous law to be passed, as opposed to the King of England, who has the power to upfront, decline the passing of the bill and the procession ends there. As a result, Hamilton contrasts between the limitations on the United States Executive veto and the King of England's absolute power to veto a legislative act. While Hamilton highlights both, England and the United States' contrast, the way their currency and commerce is conducted. Based on the United States, Congress has the full authority to deal with the conduct of how interstate commerce and currency is handled. Everything pertaining to business and financial responsibilities goes through Congress. Congress is responsible for providing an outline of laws for everyone to follow. These are enforced through the executive branch (the President) and are upheld in the judicial branch. This is crucial and fundamental in the country and how it is operated because the foundations of the economy is built primarily on how the money is operated in corporations, businesses, taxes, etc. England, on the other hand, is operated similarly where the interstate commerce laws are also administered by Parliament, however, these laws aren't as enforced as the United States' Congress. Both set of laws of interstate commerce and fundamentals to the handling of currency are fairly similar in their conduct and Hamilton highlights both in Federalist Paper 69. The President of the United States is given the power to appoint public ministers, Supreme Court judges, and all officers established by law. However, the president needs the approval of the Senate in order to appoint any of the listed individuals above. On the other hand, the King of England has the same role of appointing public ministers but is not bounded by any other section of government. Hamilton explains not only is he not bounded by other branches of government, but the King of England is able to appoint public ministers to all offices as well as create offices. The King of England is also enabled to give titles of nobility at his own discretion. ^ a b c Hamilton, Alexander; et al. (2008). The Federalist Papers. Oxford University Press. This page was last edited on 8 March 2019, at 08:14 (UTC).